When your aim is only to please your kids with your crochet hook, then you can merely crochet some Disney inspired crochet pattern that will all go favorite with your kids! All the Disney characters hold dear to kids, especially the Mickey and Mini mouse are having a vast number of fans! 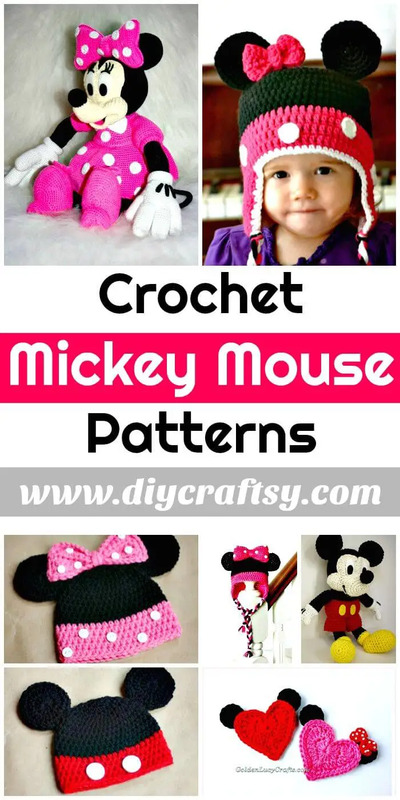 So, why not crochet some lovely kids crochet patterns inspired by Disney Mickey mouse just to make your kids feel super excited! 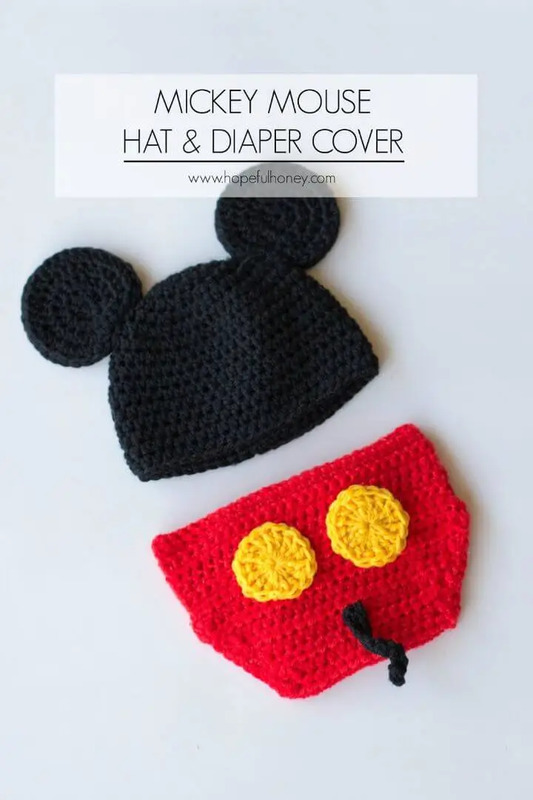 Just have a look at these 10 Free Crochet Mickey Mouse Patterns that will hold dear to all fun loving kids and are something precious to gift to your babies! 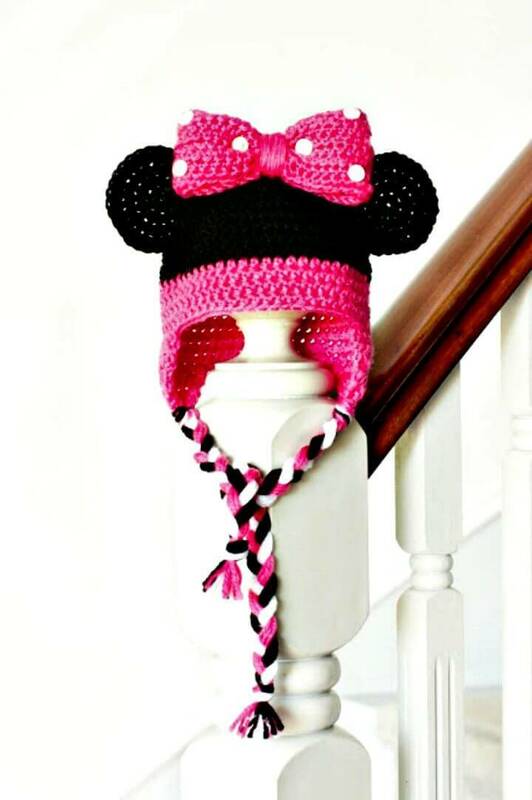 Crochet the super beautiful Mickey and Mini mouse hats that will make your kids look super cute and adorable even when they are going to their first photo shoot! 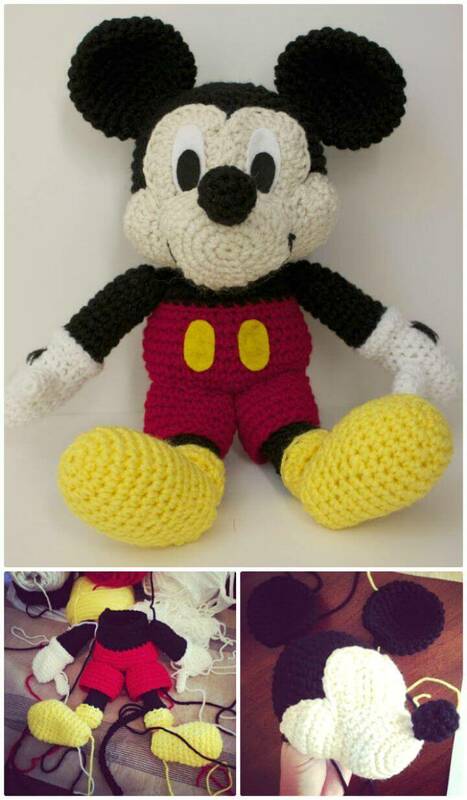 Furthermore, you can create precious looking crochet Mickey Mouse stuffed toys that will also make an epic present for a baby’s birthday or a baby shower! 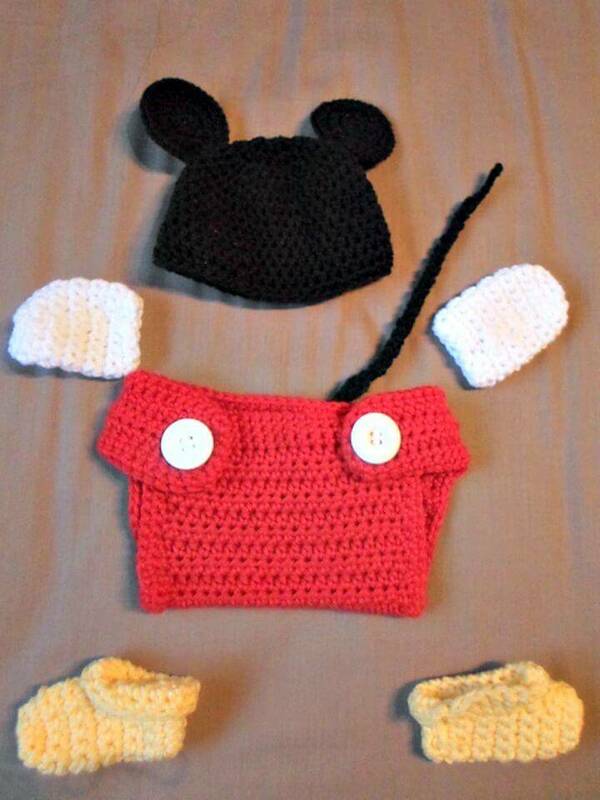 You can also crochet the super cute Mickey Mouse baby sets that will create a whole enticing Mickey mouse avatar of your six months or newly born baby! Check out here two mind-blowing samples that come with a Mickey mouse hat, socks, booties, hand warmers and with a Mickey mouse diaper! Crochet also the Mickey and Mini mouse hats that may come with eye-catching braids to be tight over the head of your kids or babies! Mickey Mouse is not only the favorite cartoon character of kids, but the also matures like it very much, so some Mickey Mouse amigurumi will also make a great gift for a Mother’s Day for a Friendship Day and also for a Valentine’s Day! Take a look at some adorable Mickey Mouse stuffed toys showcased below! There can be several different ways more to incorporate Mickey Mouse into your daily life! 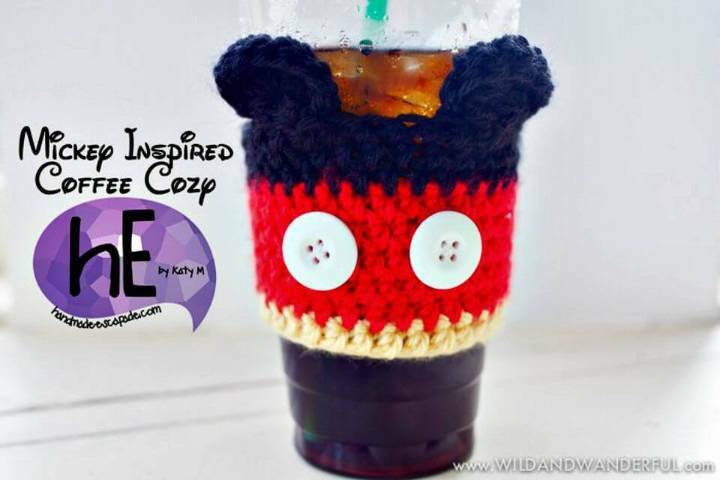 One fantastic approach would also be to crochet a Mickey Mouse coffee mug cozy that will also make an excellent gift for a Mickey Mouse fan! 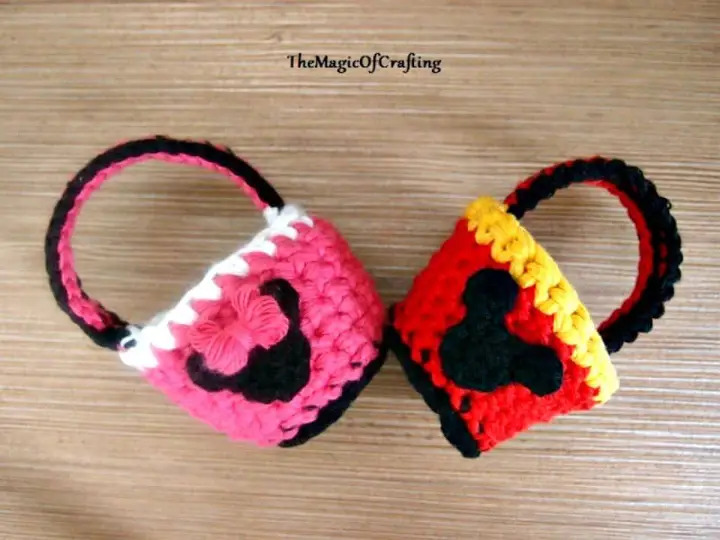 Another beautiful Mickey Mouse gift idea would be to crochet the Mickey and Mini mouse Easter baskets, perfect low-cost but great Easter gift idea! 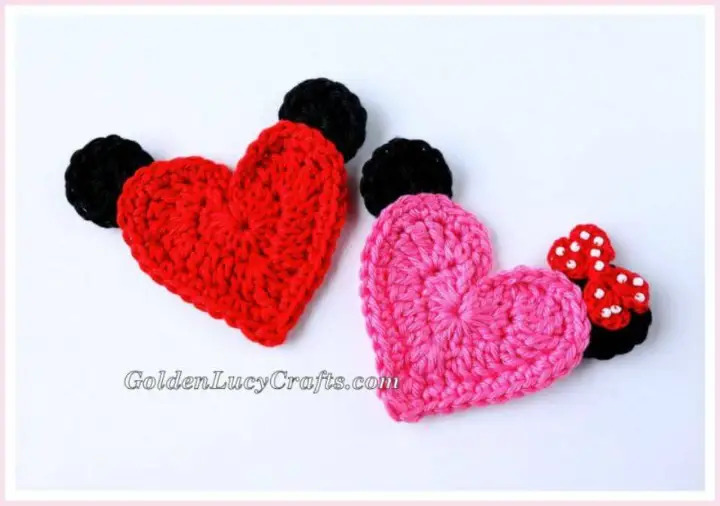 Moreover, you can also crochet some Mickey Mouse heart appliqués that can be tagged or pasted on your outfits and clothing just to recall the Mickey and Mini mouse every day! Take a short visit of all these fab Disney Mickey Mouse patterns and just duplicate them to please your kids! 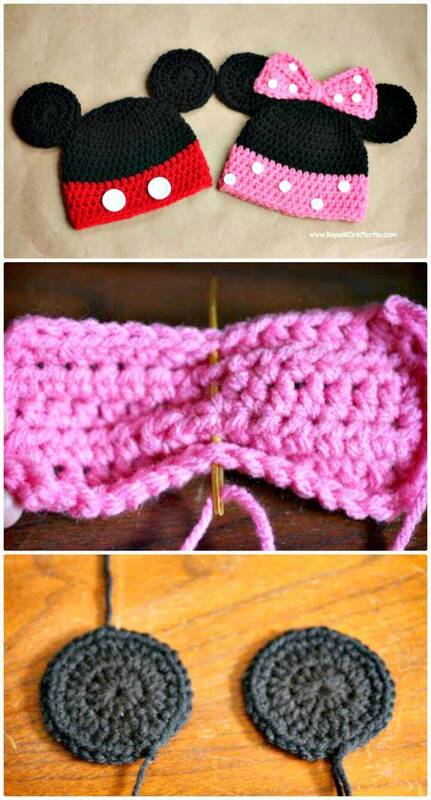 Check out also the links pasted just below each showcased idea that will take you to the complete free crochet patterns, comprehensive project guides, and easy free tutorials! Want more Crochet Amigurumi and Crochet Baby Hat?